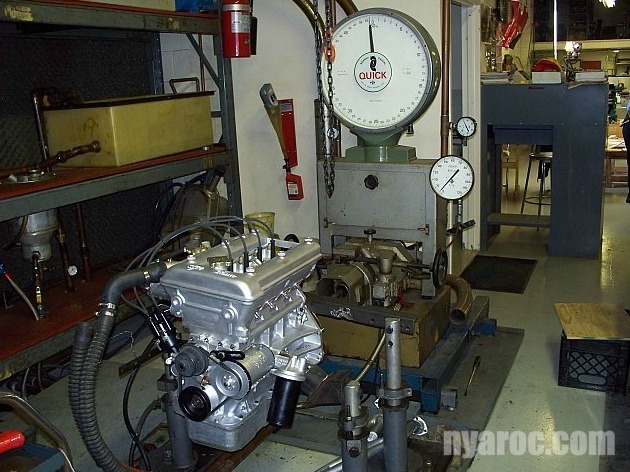 In a non-descript building, located in an industrial area of New York City's Borough of Queens, is housed one of the most wonderful collections of Alfa Romeo racing cars in the USA, belonging to the remarkable Joe Nastasi. Originally from the Messina area of Sicily, Joe came to New York City as a young man without funds but with a desire to learn all he could about cars and driving fast. He immediately found work in Brooklyn with a car dealer, then found another job more to his liking with a Ferrari-Maserati-Lamborghini dealer in Manhattan. A quick learner, Joe started to develop skills that have turned him into one of the best engineering technicians in the country. His work in federalizing Lamborghinis was known worldwide. Joes love for Alfa probably started when he watched the Targa Florio, the unrivaled, difficult race over public roads in Sicily. 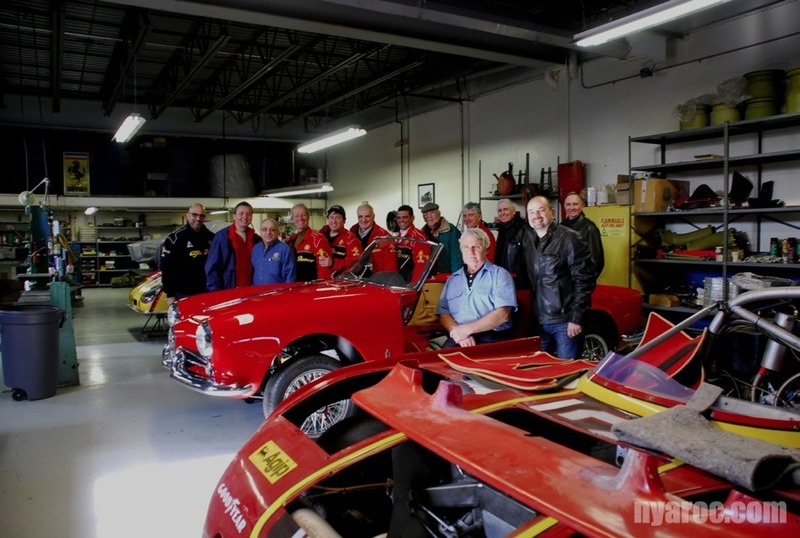 The NYAROC Chapter was invited to view his collection of ex-Factory Alfa racing cars at his private shop. The cars at this location included two flat-12 T33's, four T33 V8 variants and one Autodelta 1750 GTAm. Also we saw his restored Sprint Speciale as well as his current project, the restomod of a 750-series Giulietta Spider. Work on the racing cars is ongoing The racing cars have been driven in Europe as well as the USA. Fast. 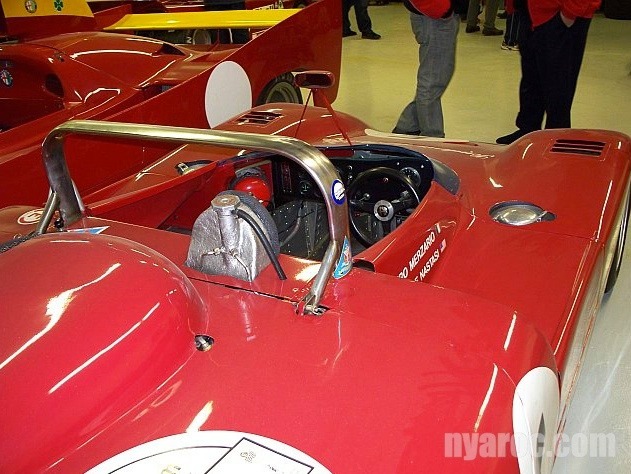 Anyone familiar with Lime Rock Park will attest to Joes capability with a recorded lap in the GTAm of 1.01 minutes. Joe was a wonderful host, answering all questions, including telling of the sometimes machiavelian twists and turns of Italian commerce that were necessary to buy a factory racing car.. His joy reflected both the pride in his work and his accomplishment in life. The New York Alfisti had a blast !